Bożena Niebrzydowska was born in Szczuczyn near Łomża, Poland. Since a very young age Bożena liked to participate in any sporting activities in her school and region. In high school she became a long distance runner and running became her passion. Bożena was one of the founders of the long distance running club Maratonka in Grajewo. In only a few years this club participated in the most famous races in Poland, Germany, Czechoslovakia and Russia. This club still exists today. When Bożena came to the United States she settled on Staten Island where she married Marek Niebrzydowski and started a family. They have two wonderful daughters, Monika who is 12 years old and Daria who is 9. Bożena continues her passion of running in the United States. She has participated in many sporting events in the United States and she belongs to the Richmond Rockets Running Club on Staten Island and the New York Road Runners Club. She runs 5 to 26 mile races and has already finished 20 marathons in her career. She has run the New York City Marathon 4 times, and the Chicago Marathon, Boston Marathon and Philadelphia Marathon and many more. In 2009, she became a member of the Polish-American Sports Association. In the same year she participated in the International Olympics in Toruń, Poland where she won two gold and two silver medals. Bożena is an active member of the Saint Stanisław Kostka Church on Staten Island. She participates in church life as a volunteer by organizing church events and trips to Lancaster, Pennsylvania and American Czestochowa in Doylestown, PA. She also helps in running the Polish Festival every year where she organizes activities for the kids. 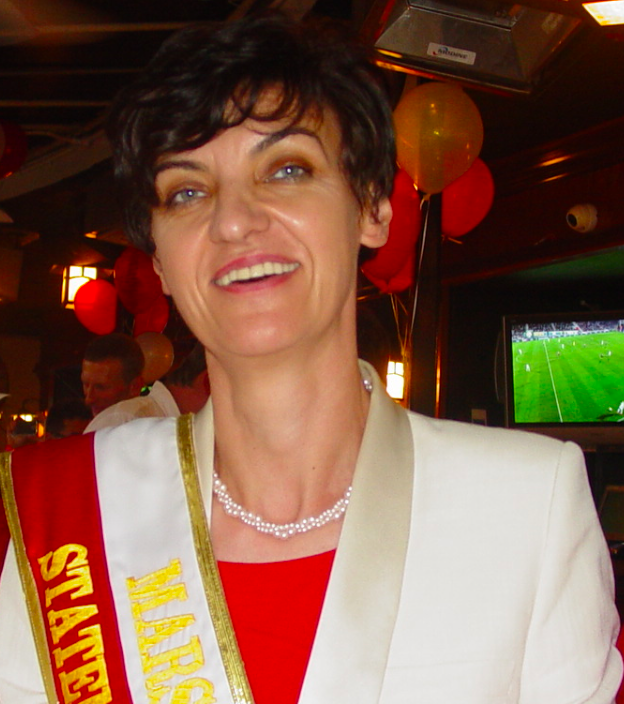 It is a great honor to present Bożena as the Staten Island 2013 Marshal.